We are located at 9105 W Overland Road near Maple Grove. We begin our services with live music, a time to experience God through music. The lyrics are projected and you are more then welcome to sing along! We do provide ear plugs, if desired. You can count on a message that is engaging, relevant and inspiring! And although we would would love to get to know you after service, our goal is that you feel welcome & comfortable as a guest -- you will never be singled out during service. Join us before either service in the Fireside room for prayer for our community and those in need. Following each service we have volunteers that would love to pray with you. This can be a simple encouraging moment and powerful next step in your spiritual journey. We would love to come alongside you and just pray. 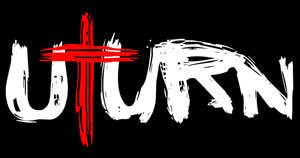 UTurn is our Youth Group for middle & high school students. They meet during both services on the first and third Sunday of each month upstairs in the UTurn room. This time is geared to engage youth & empower them to live a life centered on Jesus! At The Journey Kids we have fun together! When you arrive, if you've got a kid (or more) we have a space for them! Our greeters will be glad to take you to our Journey Kids check-in area. We use KidCheck to safely check in and out your child for services. We are all about families -- We even have a quiet Fireside Room just outside the Great Room for families to experience service together with a little more wiggle room.